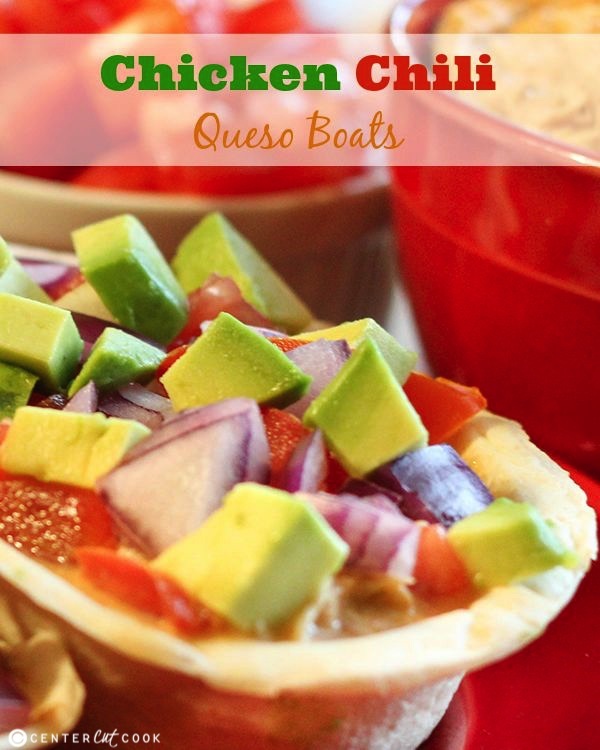 Dinner doesn’t get much easier or tastier than these Chicken Chili Queso Boats! The filling cooks in the slow cooker while you’re away, making this perfect for busy weeknights. Children can get creative by adding their own favorite toppings! Have a weeknight fiesta with these Chicken Chili Queso Boats! They’re fun, fast and kid-friendly- perfect for a weekday meal. Just toss the queso ingredients in the slow cooker in the morning, then shred the chicken and mix in the cheese just before dinner. 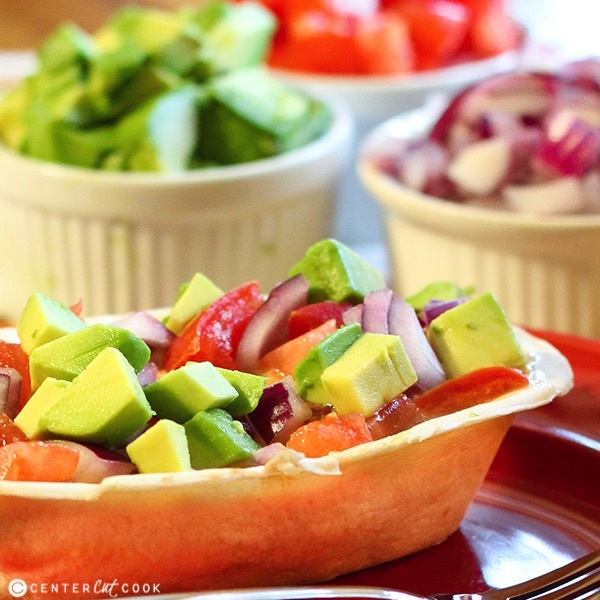 Kids will enjoy making their own taco boats with their favorite fillings using Old El Paso’s Mini Soft Tortilla Boats (or regular size if they have a big appetite!). This recipe makes enough for a crowd, or for leftovers! The ingredients are easy to find at your local Albertsons or Safeway store. Don’t forget to save the Box Tops on Old El Paso and other General Mills products to raise money for your child’s school through the Box Tops for Education Program! Each Box Top is worth 10 cents which adds up quickly. Each registered school can earn up to $20,000 each school year. *Note: Make sure your child’s school is registered, as only Box Tops For Education registered schools can redeem Box Tops. Details can be found here. 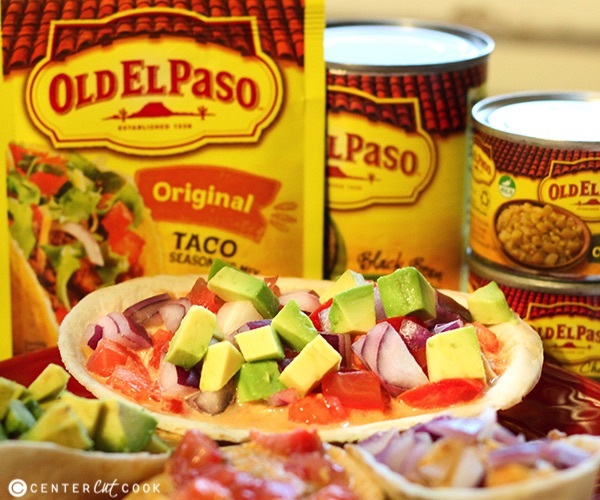 Old El Paso products, found at your local Albertsons Safeway store, are an easy weeknight meal solution. Shoppers can clip the Box Tops found on the Old El Paso packaging, and on other General Mills products, to earn 10 cents each for their schools through the Box Tops for Education program. This is a sponsored conversation written by me on behalf of Albertsons Safeway and Old El Paso. The opinions and text are all mine. Place thawed chicken, tomatoes, green chilies, seasoning mix and water into a crockpot and cook on low for 6-8 hours. Remove chicken from cooking juices and shred. Add chicken back to crockpot, along with cheese. Spread a spoonful or two of refried black beans in the bottom of each taco boat (helps keep the Chicken Chili Queso from leaking through). Add as much Chicken Chili Queso as desired, then top with tomatoes, red onions, avocados or other toppings.